Abstract: Are you having mobility issues that are making it difficult for you to visit your favorite places and hesitate to conquer further fields? 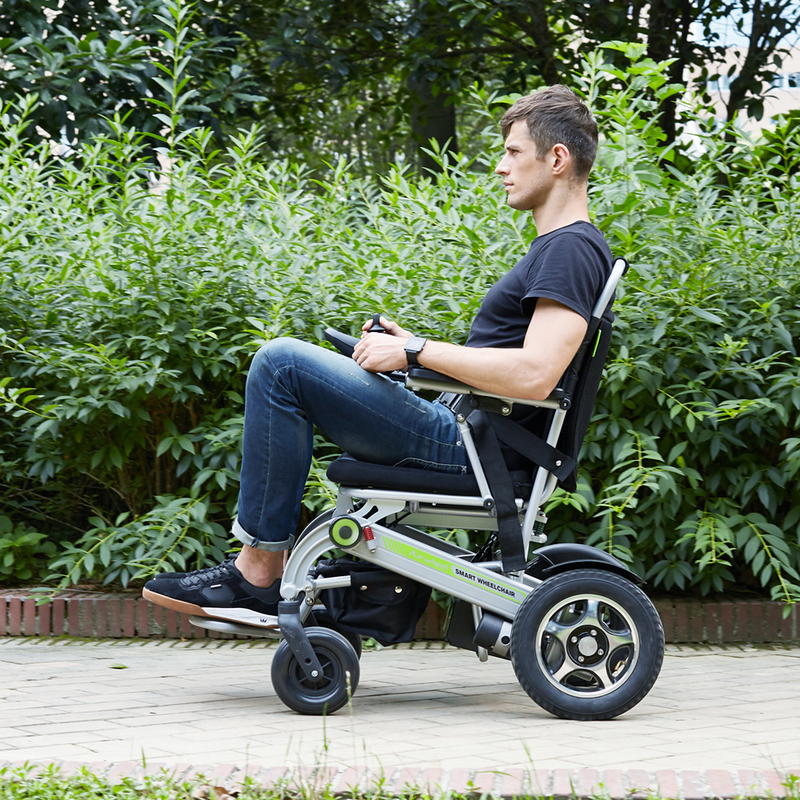 The new H3 electric wheelchair from Airwheel may be just what you're missing to help you regain your mobility and assist you getting around freely! Learning that you will have to utilize a wheelchair for your daily mobility may seem dreadful or hard to grasp. In the beginning, it is not an easy life to adjust to. It will take some time and definitely some time to be accustomed to the new changes. With time and patience, you will learn how to change your mindset and adapt to your surroundings with a wheelchair (search from google). Expect new challenges. Face mistakes and failures. This will not only help you accept and create your new lifestyle but also become a stronger individual. Relearning activities with a wheelchair is trial and error that allows you to figure out who you are. Not everything will be smooth at first but once you go over the barrier, things will fall into place to become a satisfying situation. Just because you are bound to the wheelchair does not mean that you are bound to stay indoors. Why not go for a wheelchair hiking? It may sound like a challenging activity to do but hiking is a great method of exercise while enjoying nature. With the help of electricity, H3 power wheelchair will assist you to go further smoothly and easily. Foldable wheelchairs have an advantage over rigid wheelchairs because they allow you to fold the chair into a portable and compact shape. With portable electric wheelchair H3, you will be able to go wherever you want by combining the public transportation and H3. Whether you're looking for a new H3 electric folding wheelchair, mobility scooter or simply want to have a more convenient way to get around on a daily basis, we invite you to try our Airwheel H3. You will fall in love with it.